Imagine yourself passing through a vast rice field with an array of towering coconut trees at the other side. As you approach the end of the green vastness, eye candy shades of clear blue skies and turquoise waters meeting at a horizon and a stretch of fine grayish white sand will welcome you. All the vibrant summer shades come into life under the bright sun. Let this be an imagination no more as Masasa Beach can give you this vibe in no time. Masasa Beach is located at Tingloy - a municipality that is separated from the main land, situated off the coast of Anilao, Batangas. 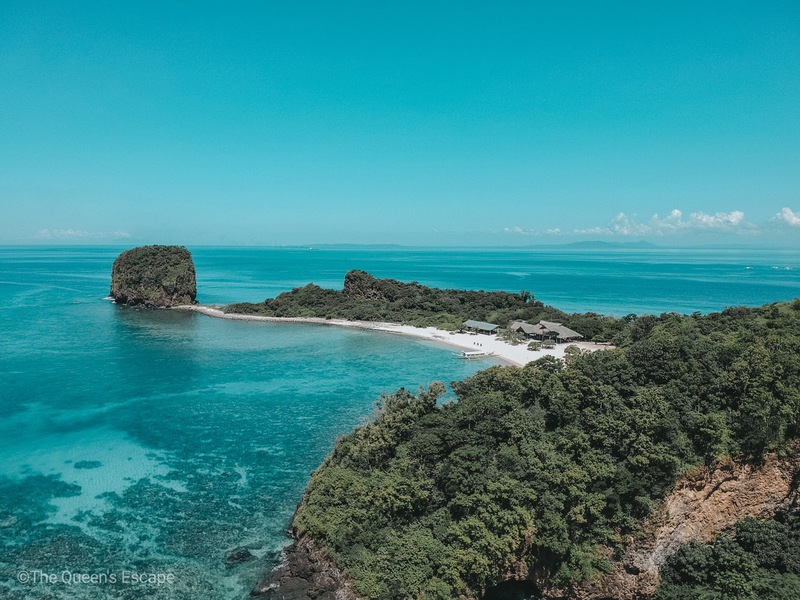 It is recently considered as the most popular destination in Maricaban island. This can be reached in three hours of travel from Metro Manila making it a great weekend beach escape for everyone. 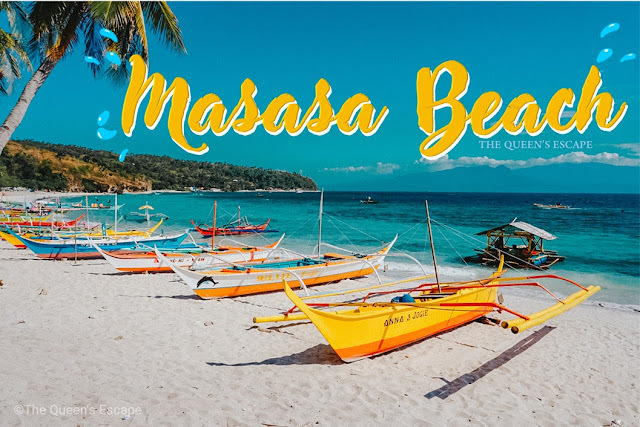 If you are looking for a beach trip near the Metropolis, Masasa Beach is the place to be. 1. 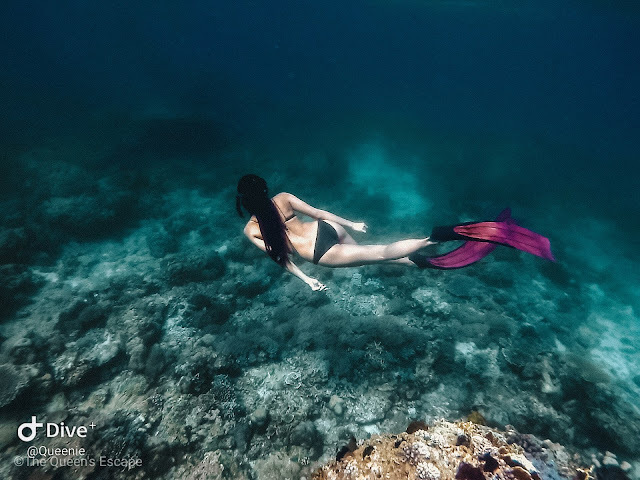 Diving and Snorkeling. 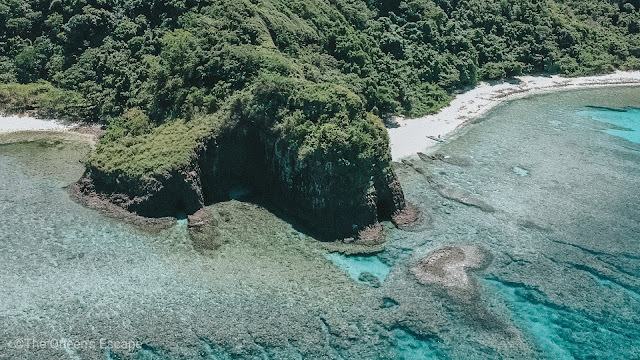 Maricaban island and its neighboring small ones are blessed with rich underwater attraction. Thus, snorkeling and diving is quite a fun activity that you must try. You can rent gears from the owner of the transients where you're staying. 2. Island hopping. For only Php 1,500.00, you can go around on a boat that can carry up to 5 persons and visit the attractions around and nearby the island. Best time to do the island hopping is in the morning (start at around 6:00 AM to 7:00 AM). 3. Trekking. 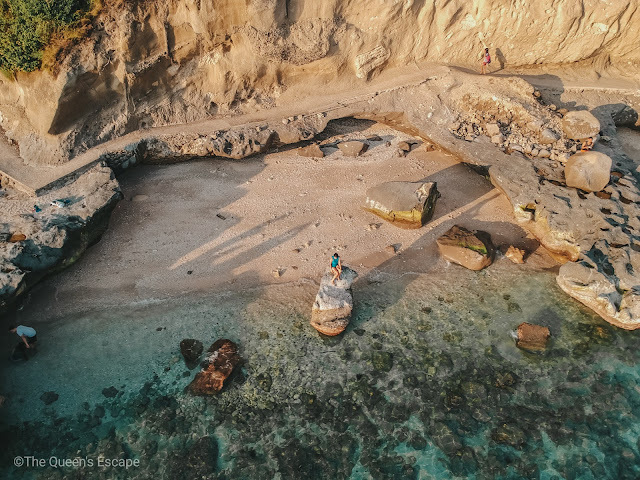 Guest may trek for two hours from Masasa Beach to Mag-Asawang Bato, an added attraction to the tropical vibe of the beach. The owners of the transient where you're staying may be contacted so they can povide you with a guide to the destination. Guide fee is at Php 100.00. 4. Swimming and sun-bathing at Masasa Beach. Swimming at the beach is free. Thus, everyone could get soaked in sun as much as they want. 5. Astro-photography. Masasa Beach is among the best spots in the island to do astro photography due to the absence of harsh lights at night. If there are any, these are merely faint as they come from a distance. 6. Cliff Diving at Tawil Rock. 1. Masasa Beach. 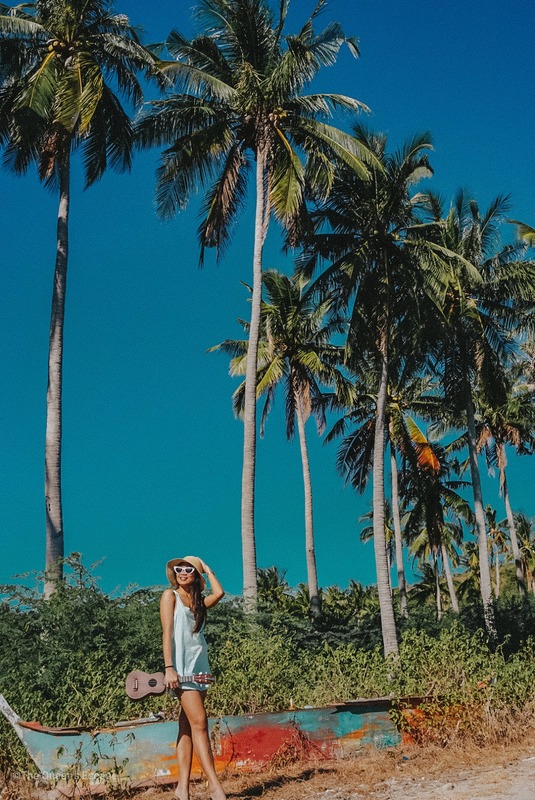 Just past the vibrant greens of the rice field, you'll see towering coconut trees and graceful blend of the sky and ocean horizon. The long stretch of fine grayish white sand will welcome you as you walk past the field. 2. Lagoon. The lagoon is just a 5 - 8 minute walk from the beach itself. 3. Sepoc Island. 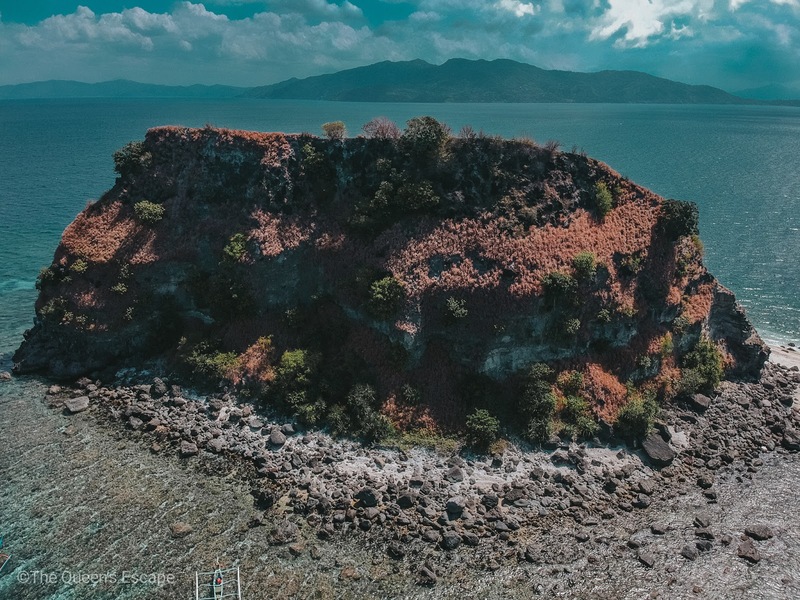 The island can be reached in less than an hour from Masasa Beach. It houses a long stretch of beach, caves and is surrounded by snorkeling and diving spots. 4. Sombrero Island. This island that is the first destination in the island hopping tour actually resembles a hat where its name came from (sombrero, a Tagalog term of hat). 5. Caves at Sepoc Point. You can actually get into the cave as long as you have a flashlight with you. You can also ask your boatman to guide you inside. 6. Mag-Asawang Bato. Apart from the beach, dive spots and islands, you can also try and trek to Mag-Asawang Bato for two hours. You can ask the transient's owner for locals who can guide you to it. Camping overnight is not allowed anywhere near Masasa Beach. Also, the transients are either located at Palayan or near the lagoon. 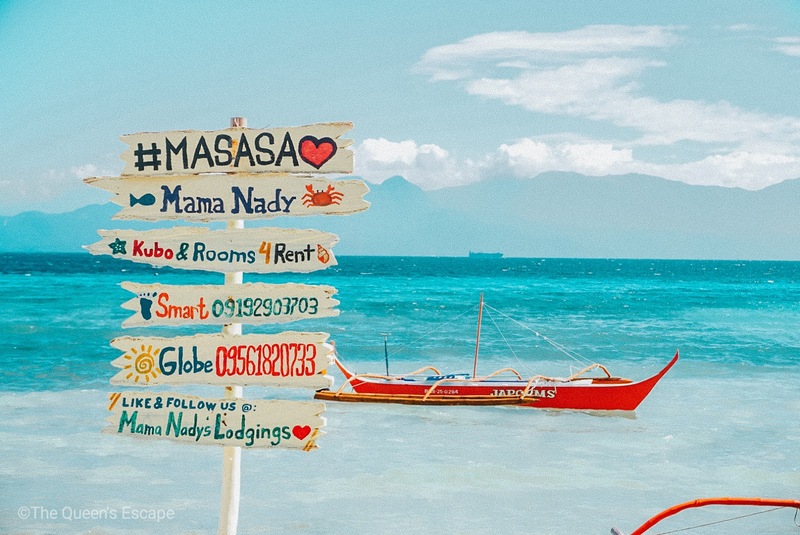 Thus, prior to our visit, my friend who has been in Masasa Beach a couple of times have contacted Mama Nady's Lodgings, one of the accommodations in Masasa with quite a perfect spot with the view of the beach. I brought my own tent and my friend rented one from them. 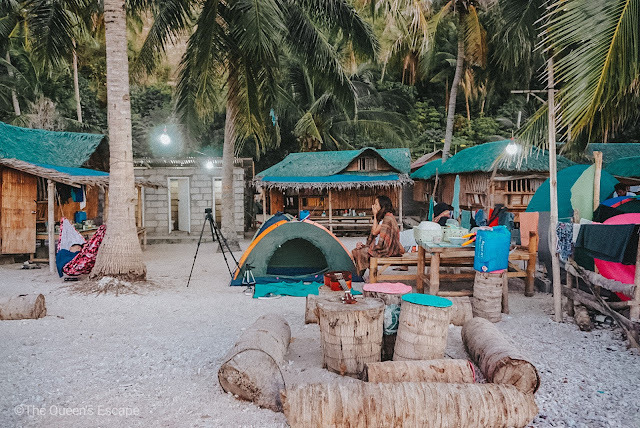 We paid an amount of Php 200.00 per head for the tent pitching fee that is also inclusive of the use of bathrooms, utensils and an access to the cooking area. I personally love their spot despite its distance from the beach itself. 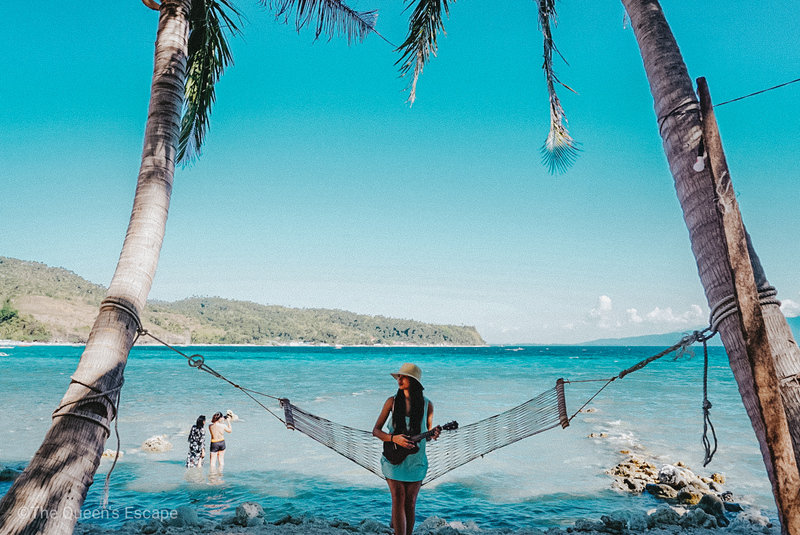 The tent pitching area is right in the beach front with a couple of coconut trees where there hammocks can be hanged. There are tables, chairs and bamboo bed at the common area. Indeed, it's a chill spot - away from the crowd, close to the ocean. There are very few eateries around the area. The only one that we found is that of Aling Vecy's. However, it is still best to have your own food cooked instead. You can actually bring your own food and cook at Mama Nady's Lodgings since you are free to use their cooking area. There's a market at Talaga port where you can buy wet goods, fruits and vegetables. If you don't feel like cooking, you can request for Tita Nady to cook for you. They charge Php 50.00 per kilo for it. You just have to provide the ingredients and advise them as to what dish would you like to be prepared. 1. Take a bus from Pasay, Buendia or Cubao going to Batangas City Grand Terminal. The trip might take 2 to 3 hours depending on the traffic. JAC, Jam and Alps Bus Liners have several trips daily from 3:00 AM going to and from the province's grand terminal. 2. From Batangas City Grand Terminal, make your way to the jeepney terminal and take one bound for Mabini Anilao. Tell the driver to drop you off Anilao's Talaga Port. This may take an hour. 4. From Tingloy port, take a tricycle to Palayan. Travel time is 10-15 minutes. 5. From Palayan, walk down hill and across the rice field going to the beach. During peak seasons, several passenger boats travel to and from Talaga and Tingloy port. Recently, these schedule boat trips aren't followed due to the significant number of tourists coming over. From Tingloy Port, on the other hand, the first boat trip leaves as early as 6:00 AM and the last around 4:00 to 5:00 PM. There actually are a lot of instagrammable spots around the beach. You just have to be keen and creative about it lol. -Best time to visit the beach is from March to May. Swells on other months are unpredictable making it hard to go from an island to another. Also, who would want to go on a beach on rainy days? The turquoise waters should not be missed! 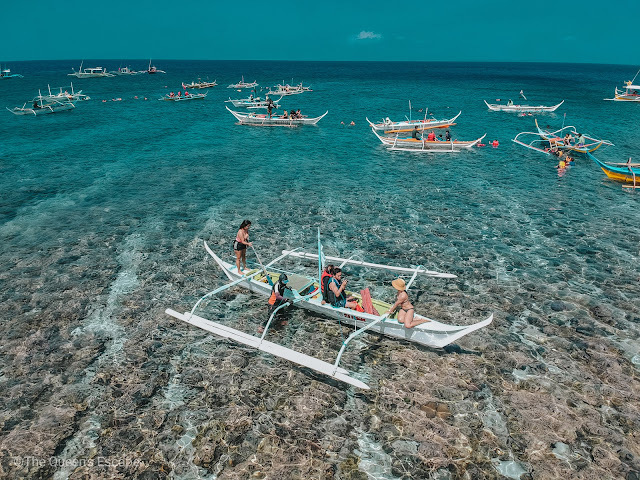 -TAKE THIS SERIOUSLY: It gets really crowded in the beach during peak season. Thus, reservation of accommodation and arriving early at the port is necessary. -Electricity is rotational. It is on from 12:00 NN to 12:00 AM. -There's not much of eateries and no restaurants at all at the beach. There are small convenience stores but it is a whole lot better to bring everything you need. -Mobile network signal and reception is weak and sporadic at some areas of the beach. Due to the surge of tourists who visit the beach, trash can be seen around and sometimes, at the waters. 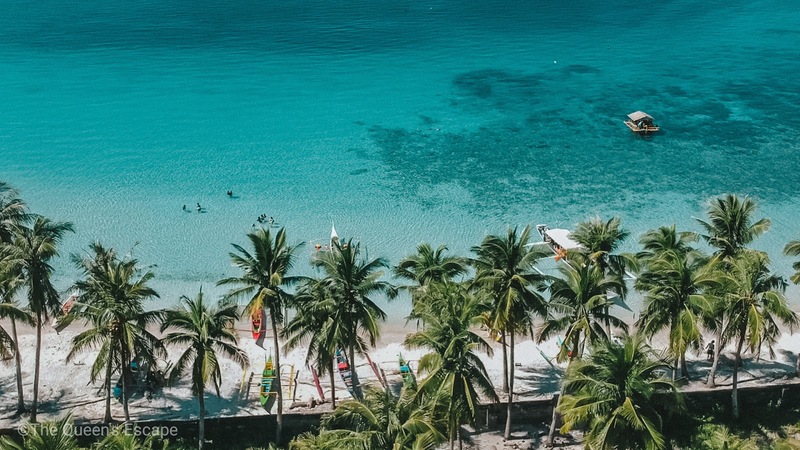 Let us give ourselves a favor, let us pick it up; do a quick beach clean up because it is nothing but for ourselves, too. We could enjoy the beach and its turquoise waters best without these.